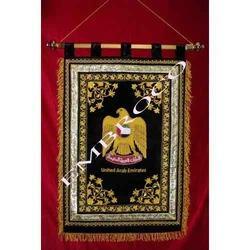 We are offering a wide range of Bullion Embroidered Banner to our clients. These are manufactured by using high quality raw materials. We are the manufacturers and suppliers of Embroidered Banner. 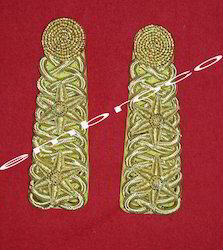 We supply these products for those who are serving in the army and other services. 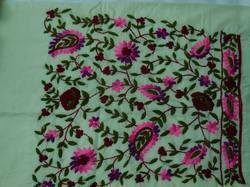 We use the best quality silk threads for the embroidery and our end products are done with good finish and finesse. We are known for the best portrayal of this banner and have a major workforce to deal with the stitching business. They have been appreciated globally for our intricate design. We are the Leading Manufacturer & Exporter of Epullate. Looking for Embroidered Banner ?